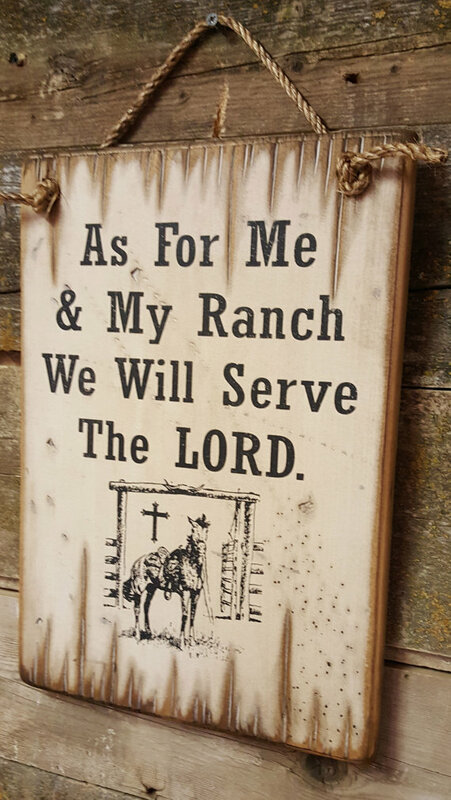 As For Me & My Ranch, We Will Serve The LORD! This western sign will show everyone who you and your serve. 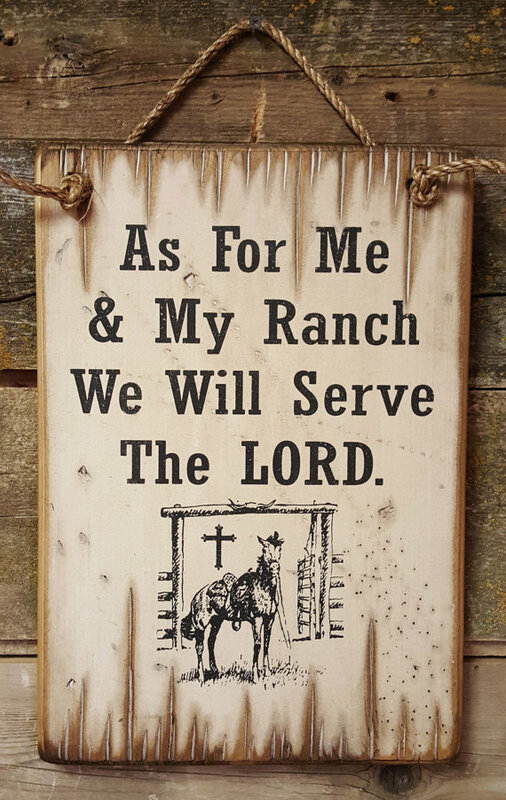 This white background sign measures 11x16 and comes with the grass rope hanger for easy hanging. Handcrafted with pride! !